MALDONADO, Jan. 20, 2015 - Brazilian player Lucas (R) breaks through during a South American U-20 football match between Brazil and Venezuela in Maldonado, Uruguay, on Jan. 19, 2015. Brazil won 2-0. 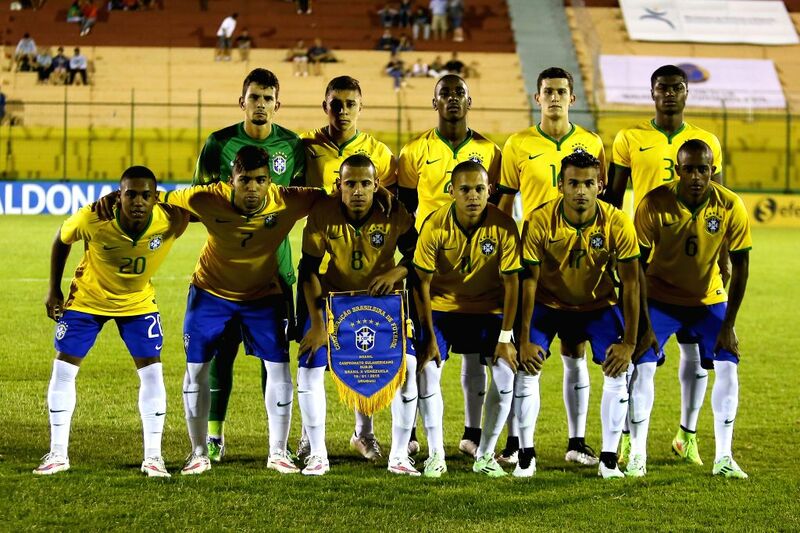 Brazilian players pose for a photo prior to a South American U-20 football match between Brazil and Venezuela in Maldonado, Uruguay, on Jan. 19, 2015. Brazil won 2-0.